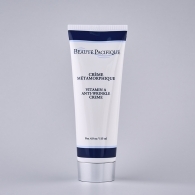 Postpone the skin’s ageing process with a highly effective anti-age cream. 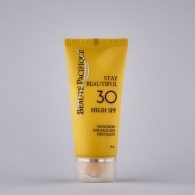 As your skin gets thinner, drier and less elastic with age, there is greater need for an effective anti-age cream to delay the ageing process and keep your skin young and well moisturised. 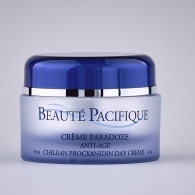 By choosing a Beauté Pacifique product, you are choosing a product that works. 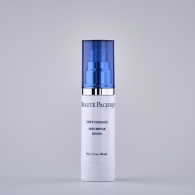 Our products are based on a scientifically-proven transport system that makes sure the effective ingredients penetrate the deep layers of the skin, enhancing the skin’s natural repair mechanisms and regeneration processes. You can see the effect of the creams in the mirror, but we can also prove the effect of the products on your skin with an advanced ultra-sound scan at your local dealer. You can see here when we will next be visiting your local dealer. Your skin starts to age around the time you turn 25. First you will notice small fine lines and you might feel less volume. Your skin ages because of many factors. First of all, you are a product of your genes. But also,your lifestyle, including how you eat, how much you exercise and how well you care for your skin. When you turn 25, the natural formation of collagen and elastin will start to lesson, thus making your skin lose some of its strength and elasticity. Once the skin gets thinner, less elastic and more dry, the need for a cream that can postpone the natural aging process increases. 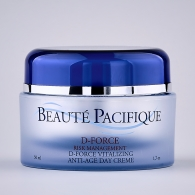 Anti-age products and wrinkle creams are developed to delay your skin aging. 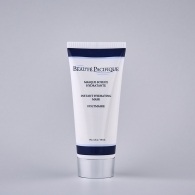 They contain lots of active ingredients that keep your skin looking young, smooth and healthy. The creams, therefore, also often have a firming effect, as well as contain lots of moisture to prevent the skin from drying out. Can you really stop wrinkles from appearing? Yes, you can! If you make sure to care for your skin daily with skin care products that suit your skin type, then you will both prevent and slow down the skin’s natural aging process. Use products that have a firming effect, as well as give your skin moisture, in order to help your skin renew its skin cells and prevent it from drying out and getting tight. Dry skin is one of the reasons for wrinkles when you get older. 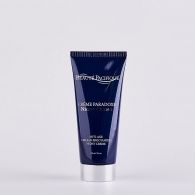 Be aware that the damage or the wrinkles that have already appeared on your face will not just disappear when you start to use wrinkle cream. 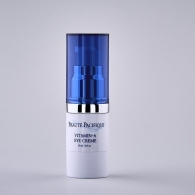 The cream will prevent new wrinkles from appearing but will not remove already existing wrinkles. 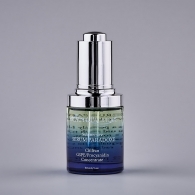 The anti-age formula will, however, repair existing wrinkles so they appear less visible. Our products are built on a scientifically documented transport system that makes sure to bring the active ingredients deep under the skin layers. Here they will enhance the skin’s natural repair mechanisms and regeneration processes. You can see the effect of the creams in the mirror, but we can also prove the effect of the products on your skin with an advanced ultrasound scan at your local dealer. Anti-age creams and wrinkle creams contain a number of ingredients that actively counteract aging processes – and then they contain lots of moisture care, which every healthy skin needs. Not only do our creams work as a patented transport system, we have also added medicinal ingredients to our creams to enhance the effect on the skin. 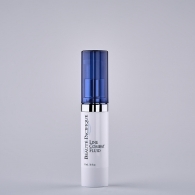 Our anti wrinkle face creams with vitamin A strengthens the skin from within by stimulating the skin to renew collagen and elastin, thus making the skin more flexible. Vitamin A has the same effect as a hormone, because it increases the skin’s growth rate and ability to bind fluid to the skin cells. Damaged skin cells will be replaced by new ones much faster. This will make your skin glow.